Welcome to the Toyota navigation page on NavigationUpdates.com. 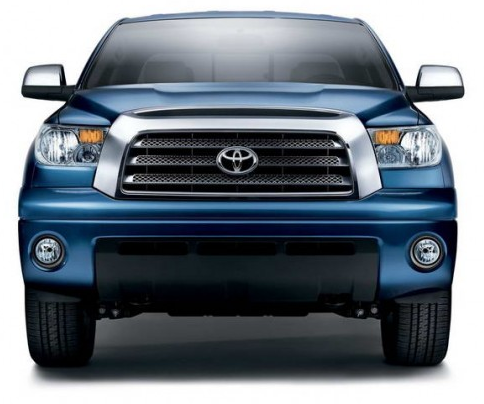 Here, you can find the latest reviews, and coupon codes in the top right corner of this website for Toyota Navigation Map Updates for your vehicle. Keeping your navigation system current is critical for maximum performance, safety and fuel economy. To purchase an update for your Toyota navigation system, please contact your local dealer for more information. Check back soon. We may have Toyota Navigation Updates available in the future. On the navigation DVD, it is printed "2005 Tele Atlas North America INC" and also "2006 NAVTEQ" and "2007 Denso Corporation". Would that indicate that the DVD was made for the 2005 Toyota?? My buying the car in July 2008 would mean that the system installed was already 3 years old?? Nice way to do business, no??.. Can you explain those dates? ?If I now want an update, how much would it cost me and how long would it take you to deliver? My 2012 Prius Model 5 has a software version 2.1.0 and a Nav ID NQNA2010Q4. Looks like things might not have been up to date when the dealer sold me the car? I like your online toyota navigation system. I would like to update my navigation system to the new 2012 update. where can I get the update from? This site was of no help at all on Toyota Navigations systems.